Our MSC tracking system allows you to track your MSC Container cargo by entering the Bill of Lading or Tracking Number (or Booking Reference Number). The track and trace system provides details about searched container cargo location instantly. 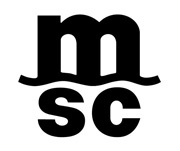 The online tracker will redirect you to MSC Container Tracking Page after clicking the track button. Note: The Mediterranean Shipping Company (MSC) tracker system supports Domestic and International MSC Container tracking. Bill of lading number (also called BL Number or BOL Number or B/L Number) is required to track your container or vessel. Mediterranean Shipping Company S.A. (MSC) is the second-largest shipping line in the world in terms of container ship capacity. Yet, because it does not have any stocks exchanged on the market, the line has no obligations for issuing its budget certified by independent parties, so the data released by MSC about itself is not confirmable. As one of the leading container shipping lines in the world, headquartered in Geneva, Switzerland, the Mediterranean Shipping Company operates a total of 480 offices in 150 countries worldwide and has more than 24,000 employees. 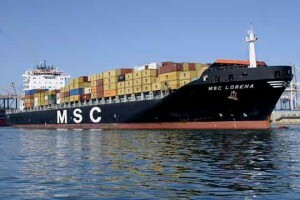 The shipping line of MSC sails on over 200 trade routes, calling at more than 315 ports. MSC operates ships with up to 19,244 TEU capacity, including one of the biggest container vessels, MSC Oscar. The company is independent and wholly owned by Aponte family. Its leader, as of October 2014, is Diego Aponte. He was appointed CEO and President by GianLuigi, founder of the company and his father. Showing 1-100 of 419 items.